The DROID 4 should be here in just a couple of weeks on December 8, so I’m sure some of you were wondering what the accessory situation would look like. Since the DROID 3 missed out on LapDocks and other webtop goodies, would this phone get compatibility with them? It most certainly will. 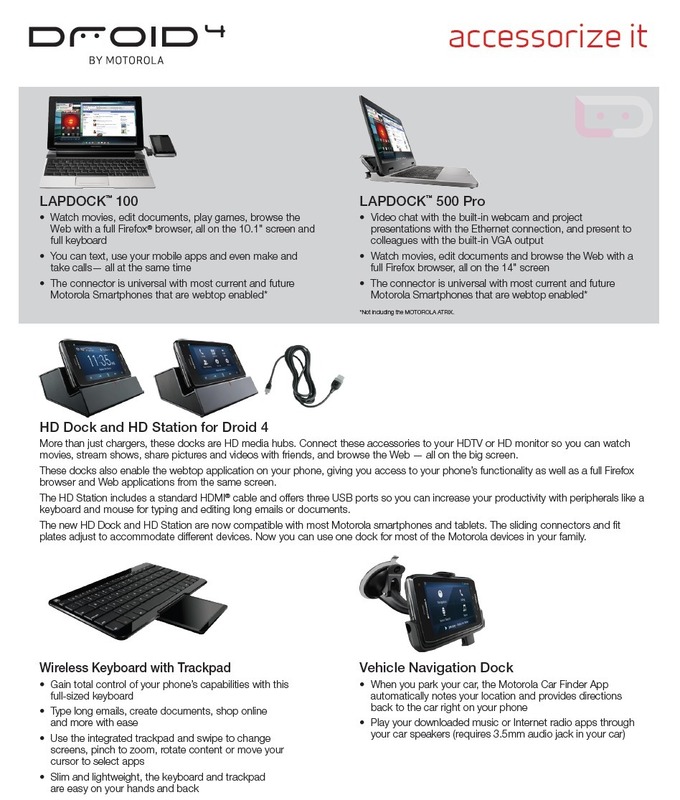 As you can see in the image up top, the whole array of docks, LapDocks, car docks and keyboards are on the list. The wireless keyboard with trackpad seems fairly new, so we’ll be on the lookout for the improvements made to it over the standard Bluetooth option. This truly is a RAZR with a keyboard and slightly smaller screen. Check out the full specs here and press shots of the device here.